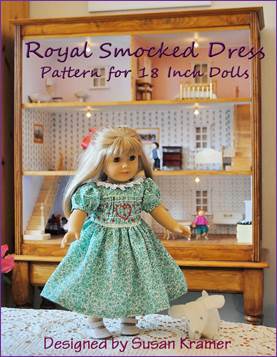 Here are instructions for making sleeveless dresses to fit 18inch (45cm) American Girl, Gotz Precious Day Girl Dolls, and dolls with similar body types. 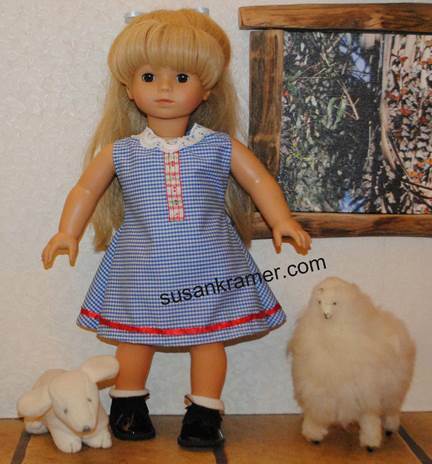 The models above are my American Girl doll, Gwen, and Gotz doll, Emily. Emily is wearing her summer dress over a pretty cotton short sleeve body suit. 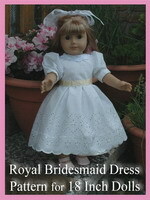 Important Note: my Corolle doll (not shown) has fabric and vinyl arms so this dress is not the best for her. 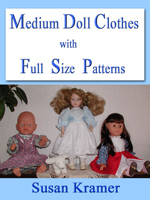 Check to see if your doll's fabric body portions will be covered by the dress. 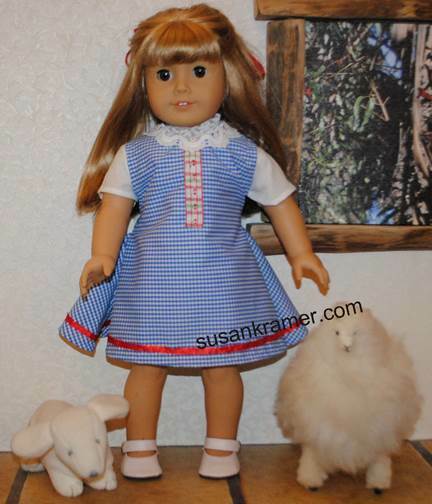 Gotz and American Girl dolls have vinyl arms so the dress covers all their fabric torso skin. 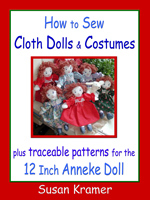 If you want your doll dress to be longer add an inch to length when cutting fabric. 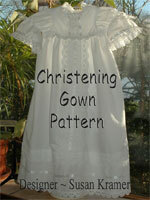 You may use the pattern for yourself or gifts but not commercially. Fabric: one half yard or meter. 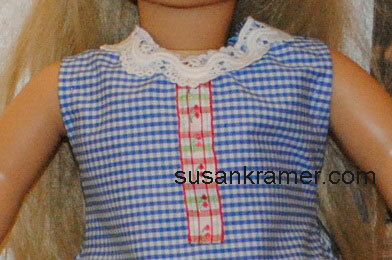 (Above) Neckline detail. Notice that fabric doll body does not show where arms meet shoulders. With right sides of back and front jumper facing, sew together at shoulders. Press seam open. On center back side, make a 4 inch long slit down from neck edge for opening. Sew side seams back to front. 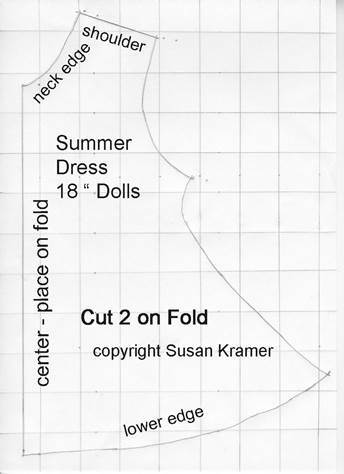 Use bias tape to finish neck edge, arm openings and back center seam opening. Before sewing side seams add your decoration to front of jumper. Turn hem up twice one eighth inch and blind stitch. Sew a sticky tape closure at center back seam - no buttons for doll clothes played with by children, please.